ISFPs are active people who are firmly rooted in the here and now. This can make them exciting and interesting friends who are always active and ready to experience new things and drag you along with them. Their active nature actually helps them overcome the natural shyness or general quietness that sometimes comes along with being introverted, which means that you might not understand at first that your new friend is actually an ISFP. To understand more about these unusual introverts, keep reading for a more in-depth view of the ISFP friendship experience. ISFPs are exciting, fun loving people who aren’t as shy or quiet as their introverted designation might indicate. This is a personality type that’s always in action, coming up with new and exciting outings and eager to experience everything the world has to offer. This makes them relaxed and easy-going friends who draw people to them easily. This may conflict slightly with the ISFPs independent nature and occasional need for solitude, but mostly they enjoy connections with a variety of different people. And ISFPs have no problems keeping their friends either. Because they use a feeling function as their strength, they’re naturally in tune with others and make charming and empathetic companions. They’re also quick to offer emotional support and enjoy being with people who are equally warm, easy going and share their adventurous spirit. ISFPs are incredibly non-judgmental, and they expect the same from the people around them. When people don’t meet this need and comment on their life or an action they’ve taken, it can cause the ISFP to become stressed and even anxious. This results in them completely shutting down, and the ISFP will usually withdraw and enter a period of isolation and self-doubt if they’re questioned too much. And once this happens, it can be difficult to bring the ISFP out of their shell again, and even more difficult to return to the easy friendship that the ISFP enjoyed up to that point. Friendships between NTs and ISFPs don’t often work well because of the conflict between their learning functions 1. There are exceptions of course, but generally these two types find that their way of seeing the world and learning from it are fundamentally different. NTs use intuitive processes as either their dominant or secondary function, which means that they need the kind of deep, abstract conversation that ISFPs actively avoid. In addition, because ISFPs use a feeling function, they may find the rational, logical NT thought process too confining and time consuming. They’d rather just get into action, and the NT preference for thinking first usually frustrates them. This can create major barriers for their friendship, on both sides. However, if people do manage to get past these barriers, there is a potential for massive growth and development here for both the NT and the ISFP. Because they think and view the world so differently, a friendship between these types can open up the world in a way that neither could have imagined. It can teach both parties things that will help them better understand and enjoy the world. But, because of their innate differences, this type of friendship is fraught with pitfalls and barriers, and both parties would have to put in a lot of effort to make their relationship work. ISFPs share a feeling function with NFs and this can create a point of connection between these types. This similar decision making process can give them a window to understanding that may be able to overcome some of the other differences between these types. Because NFs use an intuitive function, either introverted or extraverted intuition, they have a need for deep, abstract conversation that the ISFP will actively resist. This can create a fundamental lack in a relationship between these types, as it’s unlikely that the ISFP would be able to fulfil that need. 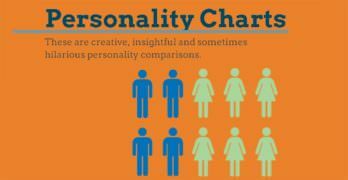 However, no one can expect to get all of their needs from one person, and the ISFP and NF are likely to bond over different activities and similarities. ISFPs are likely to enjoy relationships with other SPs. Their shared use of the extraverted sensing function means they will thoroughly enjoy exploring the world together, using their senses to experience everything they can in happy harmony. This shared sensing function will also help to make conversations easy and enjoyable, as neither will have a need for abstract conversations. Because ISFPs share the P (perceiving) 2 function with SPs, they’ll probably both enjoy the kind of spontaneous, slightly disorganized lifestyle that is so characteristic of the ISFP. And this will make for a fun, if slightly chaotic journey through life together. There will probably be some conflicts in a relationship between an ISFP and a SJ type. Although they both use a sensing function, which means that they see the world and learn directly through their senses, there is a fundamental difference in the sensing function they use. ISFPs use extraverted sensing, which means that they explore the external world and are always looking for new things to do. But SJs use introverted sensing, which actively avoids new experiences in favor of clinging to past traditions and events. This can create a problem for the fun loving, new experience loving ISFP. It usually results in fundamentally different lifestyles between these two types and can be an unsurmountable problem for any friendship between them. As friends, ISFPs are always on the go, brimming with new ideas and new ways of exploring the world. And they’re usually happy to bring you along with them as well. This is not a type that enjoys deep, quiet conversations, instead they’re happiest when they’re exploring the world and seeing what new things it has to offer them. To be a good friend to an ISFP, you need to understand this strong tendency, and be willing to jump into a new adventure at a moment’s notice. And people who don’t enjoy those kinds of interactions need not apply. Dr. Drenth A. J. “Extraverted Intuition (Ne) vs. Introverted Intuition (Ni)“. (Retrieved Jan 2018). Dr. Drenth A. J. “Extraverted Sensing (Se) vs Introverted Sensing (Si)“. (Retrieved Jan 2018). In the MBTI system, every person uses a decision making function and a learning function as their main strengths and the way they see the world. This helps them to be balanced, the learning function gathers information that the decision making function uses to make choices. The learning function is denoted by the second letter of the 4 letter designation, that is either N or S.
This refers to the final letter in the 4 letter designation. 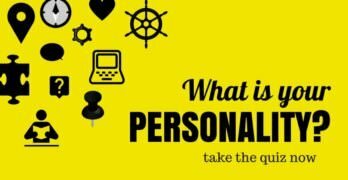 The P designation refers to organization, and people with this designation keep their minds organized and their external worlds less organized, to allow for a more spontaneous lifestyle.